I mentioned that I used an interesting little Japanese tool to create some mechanical resists in my natural dyeing class with Michele Wipplinger. 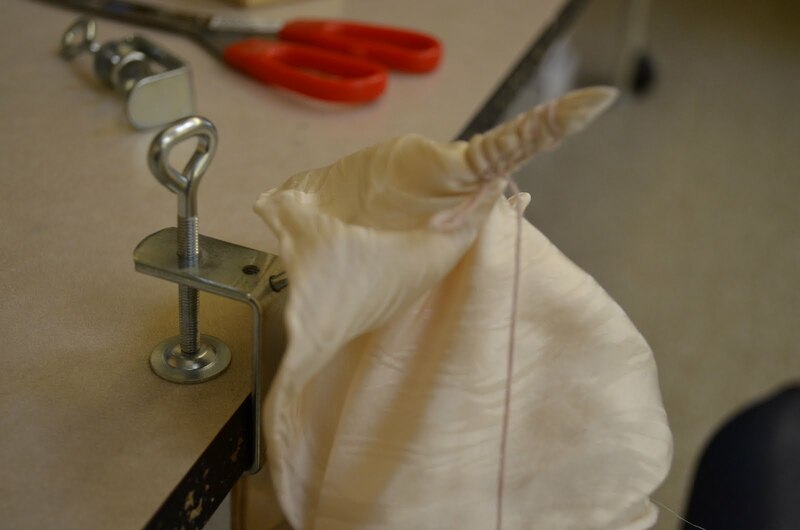 Here is the little tool clamped to a table, with some silk mounted and wound with string. 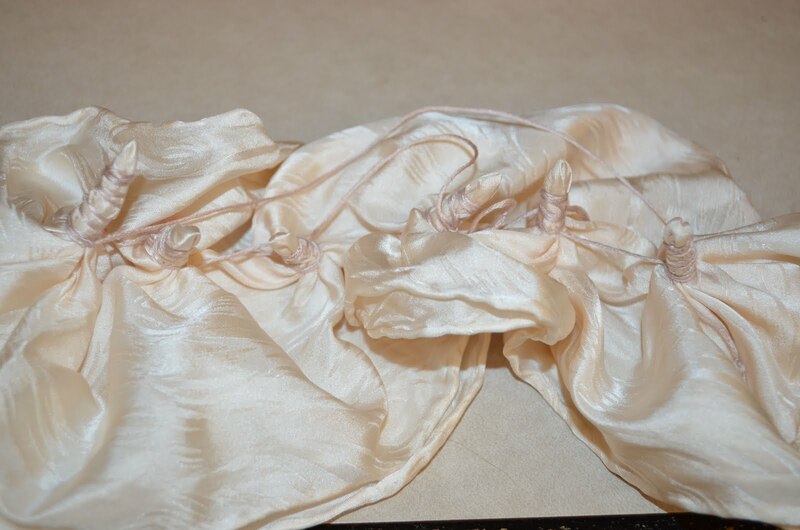 I doubled the silk around the tool as it was so delicate. 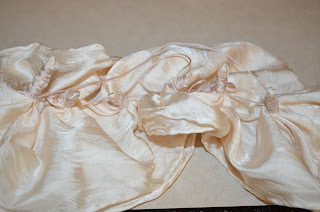 After tying off the string, I removed the silk and created a row of similar 'fingers' in the scarf. 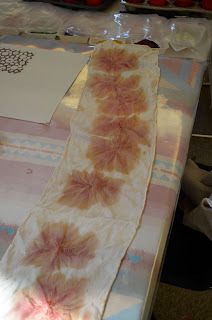 I then dyed the 'fingers' with some quebracho red and steamed the scarf to set the dye. After the steaming, I untied the scarf. 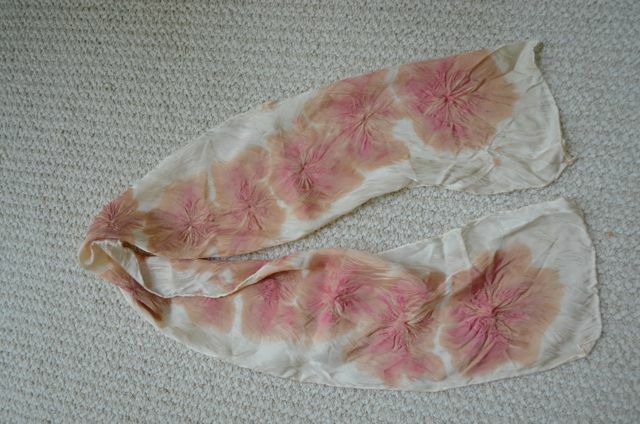 I really liked the effect of the dyeing - the gradations from the wrapping suggested flowers to me - you can see that a little more clearly in this close-up. I decided to keep this piece as is as a record for future experiments and then play with a second piece. This time I worked with logwood grey in painting during my wrapping stage. I didn't apply as much paint and the result was more diffuse. I painted over the first stage after I steamed it with some madder. As you can see, the results are quite different. It sure is fun to play! I suspect I am going to explore working with this little tool quite a bit more!